Campaign group Seachangewatch has questioned the ‘sweetener’ of a year’s free rent provided by Sea Change Sussex for the DWP staff moving into its Havelock Place office block. Meanwhile Sea Change is under way with construction of an office block at its Bexhill Enterprise Park. Nick Terdre reports. The Department for Work and Pensions’ branch at Ashdown House is to move to the town centre, occupying offices in Sea Change Sussex’s Havelock Place and the University of Brighton’s Lacuna Place. The move will help Sea Change repay the loan with which it developed Havelock Place. Nick Terdre reports. With the planning application for the Queensway Gateway road due to come before Hastings Borough Council shortly, how is SeaChange’s track record on job creation in its business park ventures? 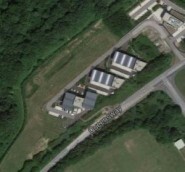 Andrea Needham of Combe Haven Defenders takes a close look at the Enviro 21 business park and wonders why so much public money is being wasted. Lyricist Scroobius Pip (left) is one half of the chart-topping hip-hop duo dan le sac vs Scroobius Pip. Going back a few years, the duo worked with Hastings film-maker Richard Heslop and local teens to make their ‘Get Better’ video in Lacuna Place and Queensbury House, Hastings. So far, sadly, the nearest they have got to playing a gig in Hastings will be Eastbourne’s Winter Gardens on Wednesday 30 April. Scroobius Pip writes in an honest and direct manner, leaving out the hedonistic and instead aiming for the raw and heavy. Helen Brown interviewed him about his approach to making music in the digital age.